“We want to bring this experience of having a home, and always knowing what’s going on around you, right to your phone,” founder and CEO Mark Zuckerberg announced at Facebook’s April 4th event in San Francisco. As expected there will be no “Facebook Phone” or even a Facebook OS, Facebook will just release Home which will replace the default Android lock screen and home screen with updates from your Facebook news feed. “Chatheads” show up even when you’re in other apps, like the New York Times app here. You can flick them to go away. 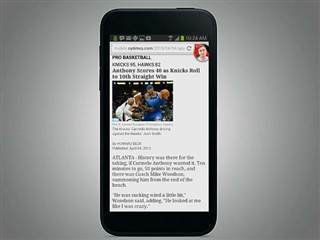 Starting April 12, the Facebook Home software will be available via Google’s Play Store as a download. 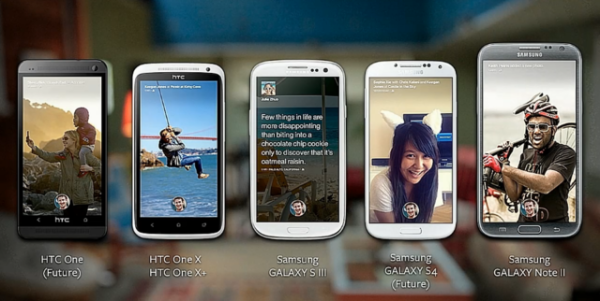 Though it won’t work on all Android phones, Facebook Home will initially work on the HTC One X, HTC One X+, Samsung Galaxy S3 and Samsung Galaxy Note 2. It will also work on the forthcoming HTC One and Samsung Galaxy S4, “and on more devices in the coming months,” a Facebook spokesperson said. What can you say about the “Facebook Home” for Android?